The Perry County Transportation Authority provides the rural transportation scheduling needs to the residents of Perry County, Pennsylvania. The county encompasses 550 square miles, the Perry County transportation authority covers it with 28 vehicles and 375 trips per day. Perry County contracted with Ecolane with the hope of maximizing efficiency and saving money using their rural transportation software. 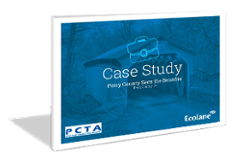 Download the case study to understand exactly how Ecolane was able to help Perry County. "We are reversing negative cash flow trends by using Ecolane software. We are no longer printing paper manifests for our drivers or having administrative staff manually input data for reporting purposes. We have combined positions and reassigned various job duties. We have saved time by utilizing the tablets to send messages directly to our fleet in real time and to be able to reassign trips to other vehicles in the event that the driver is running behind schedule."